etoy.TANK10 was launched at the gottlieb duttweiler institut in zurich in cooperation with its most important shareholder MIGROS COOPERATIVES. this event was the first appearance of the etoy.CARGO-TANKS in europe, leading to massive coverage in the european press. 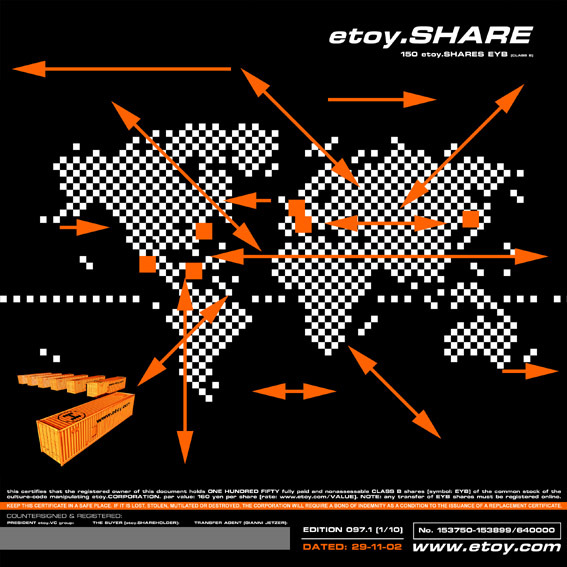 the release of etoy.TIMEZONE and the signing of further etoy.SHARE-CERTIFICATES re-introduced some market trust (on internet markets) and allowed the etoy.SHARE-VALUE to rise again. 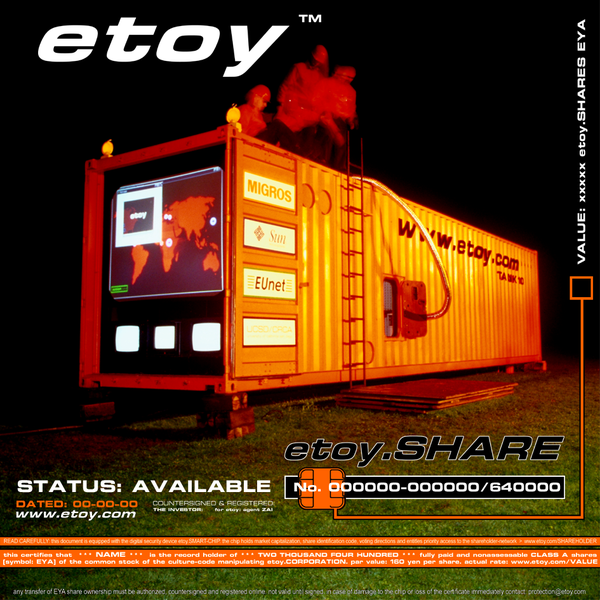 some pseudo-avant-garde art critics, curators and journalists in switzerland disapproved of the etoy.APPEARANCE because of the commercial / militaristic aesthetics and a massive lack of content. as usual they asked for a clear statement and could not understand why the etoy.CORPORATION returns to reality with 10 tons of steel after leaving reality behind so successfully. the etoy.MANAGEMENT cannot make any comment on this topic. it may have to do with money. A LOT OF MONEY.